The Center for Contemplative Science and Compassion-Based Ethics is pleased to invite you to celebrate our new joint initiative, Compassion-Centered Spiritual Health (CCSH), in collaboration with Spiritual Health at Emory Healthcare. 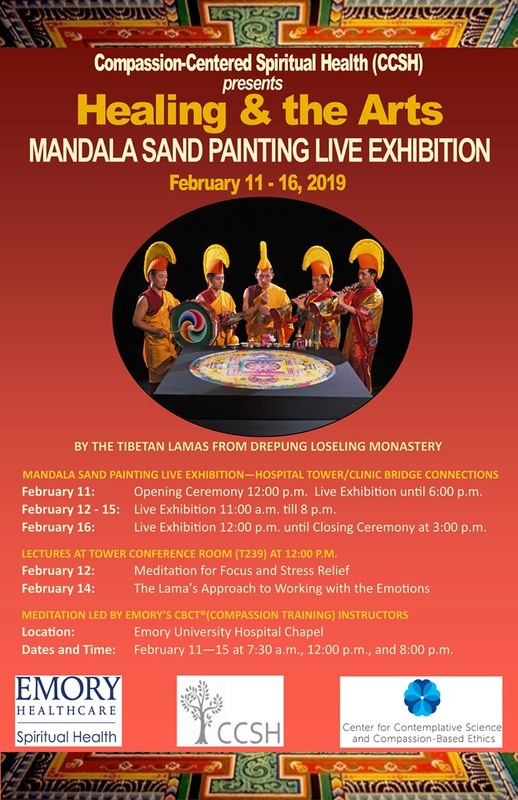 Together we are hosting the monks of Drepung Loseling from Monday to Saturday, February 11 – 16, 2019, at the Emory University Hospital Tower bridge where they will be creating a sand mandala. Visitors will be able to experience firsthand the rich legacy of the Tibetan sacred arts and how they are used to promote compassion and healing. The mandala will be created at the end of the pedestrian bridge that connects to the new hospital tower. Please stop by to observe the monks as they carefully place tens of thousands of colored grains of sand to form the complex mandala. 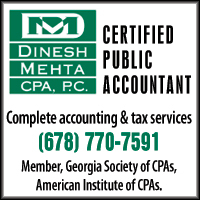 You may also attend one of several associated lectures, ceremonies, or meditations. Each meditation will be led by a spiritual health clinician who is certified to teach CBCT®, the center's research-based contemplative program designed to help those of any or no faith tradition to cultivate resilience and compassion.